This story updates throughout the day. BIG ISLAND (HawaiiNewsNow) - Ormat, the company that owns Puna Geothermal Venture, said the substation of the Puna complex and an adjacent warehouse that stored a drilling rig were both burned due to the approaching lava flow. Two wells have been covered and the main access road to the plant is blocked, but there is an alternative route available. The company has insurance of up to $100 million in the case of eruptions and earthquakes, but it's not clear if that will cover everything. The company also cannot assess when the Puna complex will be able to resume operation and deliver power to the grid. Ormat says significant damage or an extended shutdown could have an adverse impact on Ormat's business. Last year, PGV brought in about $11 million of net income. The Hawaii County Department of Parks and Recreation announced that the Pahoa Community pool will be reopened for public use on Friday. The pool will be reopened for recreational use and lap swimming from 3 p.m. to 6 p.m. every day except Wednesday. Officials say that pool users should be aware that the facility is still being used by lava evacuees as an emergency shelter. All swimmers will be required to check in with security before using the pool, and are required to stay within the aquatic center. 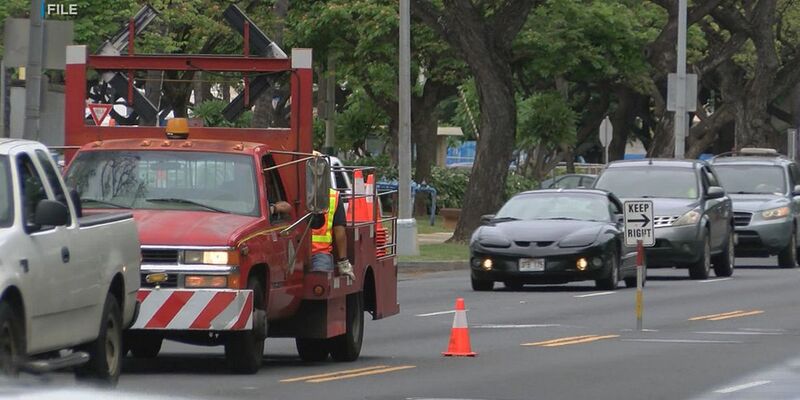 Crews are working to prepare Chain of Craters Road as an evacuation route through Hawaii Volcanoes National Park should lava cut off Highway 130. Work started Wednesday to remove a .7-mile section of solidified lava from the road. That lava covered Chain of Craters Road in 2016 and 2017. The rough grading and other reconstruction efforts to make the roadway passable are expected to take about two weeks. The route will be for evacuation purposes and not as an alternate route to and from Kalapana. The National Weather Service issued a special weather statement informing residents near Kilauea about trace ashfall. On Wednesday, officials said there were no significant bursts of volcanic ash from Halemaumau Crater over the past few hours, but northeast trade winds will push ash toward the southwest and likely over the Kau District, including Pahala, Wood Valley, Naalehu and Ocean View. Officials say avoid excessive exposure to ash, which can cause eye and respiratory issues. The Hawaii Department of Health has changed the venue for a meeting to discuss vog and ash exposure in the Kau District. It will now take place at the Robert Herkes Gym and Emergency Shelter in Pahala at 5:30 p.m. Wednesday. Free masks will be provided. The Hawaii County Civil Defense reports cell phone and landline service in the Kapoho area have been severely limited. Ongoing eruptions have have already damaged and destroyed more than 400 poles since volcanic activity began on May 3. The recent eruptions at Kilauea's east rift zone have sent fine strands of volcanic glass, also known as Pele's hair, over Pahoa. It's certainly a perplexing sight as its appearance does resemble strands of golden hair, but officials warn that the public should stay away. 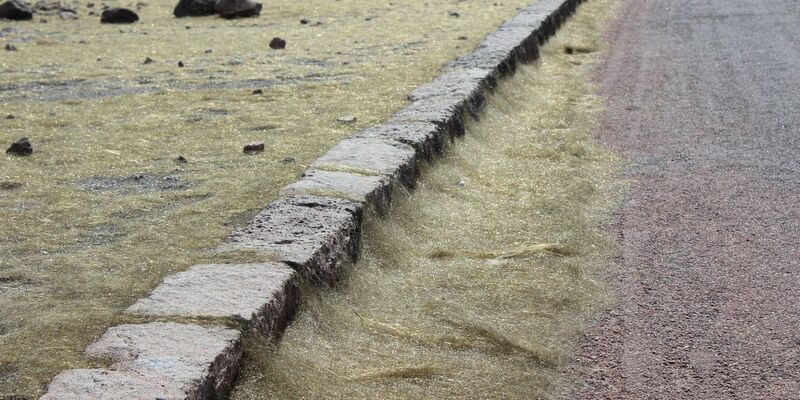 As lava bursts and fountains from one of the fissures in Leilani Estates, it produces Pele's hair through the stretching or blowing-out of molten basaltic glass. Officials say the wind has been picking up the volcanic glass and moving it downwind and to the west of the fissure. On Monday night, residents reported Pele's hair falling in Pahoa. Hawaiian Electric Light Company announced Tuesday that ongoing eruptions in lower Puna have damaged and destroyed more than 400 electric poles since volcanic activity began on May 3. 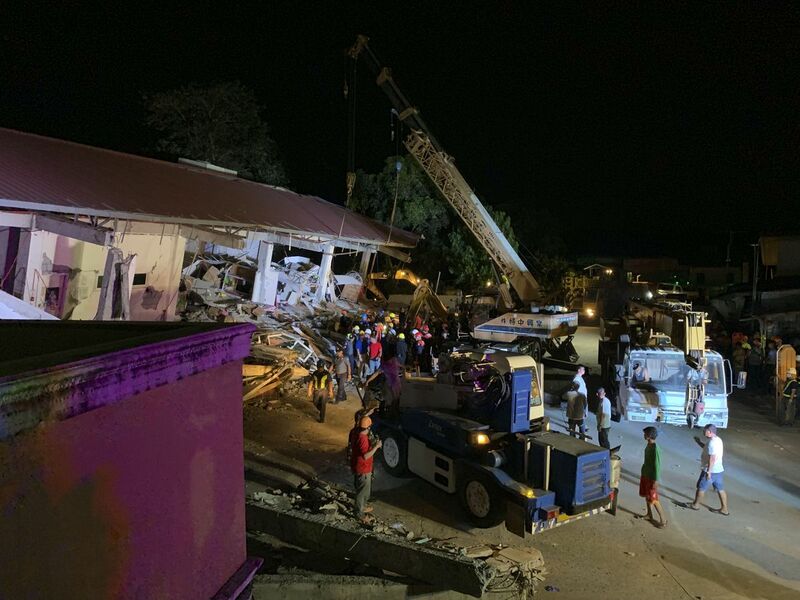 The destruction has also affected utility equipment, completely cutting off electrical connection in several areas. 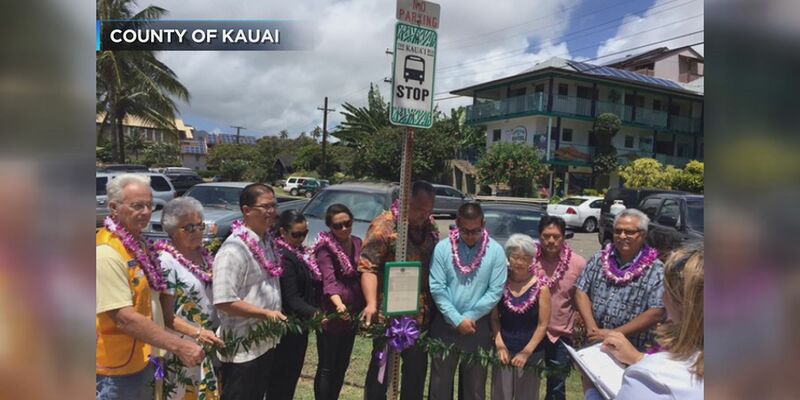 Those areas include Kapoho, Lanipuna Gardens, Leilani Estates from Moku Street to Mohala Street, and several areas along Highway 132. HELCO plans on working with civil defense officials to continue monitoring the eruption. All repair work in areas that lost power due to lava activity will be managed after a damage assessment is complete, and areas are deemed safe to enter.